How many of you struggle when you work with IT and IT SMEs? Do you often feel like you are herding cats or trying to catch a cat by its tail? If you do, this is the session for you! Martha Miles will share strategies, tips and techniques that she uses to wrangle IT SMEs based on her experience as both a learning and development professional and as an SAP configuration analyst. Although these techniques are geared towards IT SMEs, they can be used with any SME. Martha Miles, IT Training Analyst, Micron Technology, Inc.
Martha Miles has 30 years of experience in the learning and development profession that has included 18 years working within the corporate IT department. Her experience within corporate IT has included working as an SAP configuration analyst, in addition to working as an instructional designer and instructor. 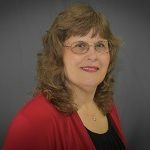 Martha has a broad range of experience in providing instructional design, instruction and training for manufacturing, engineering, information technology, and human resource environments. She has provided training to domestic and international audiences, including China, Israel, Italy, Japan, Singapore, Taiwan, and the United States. The audience has included all levels from line workers to executives and the audience sizes have ranged in size from one to over 200. She is an active member of ATD and is currently employed as an IT training analyst at Micron Technology, Inc. in Boise, ID.